IN THE DIVISIVE, decade-old War on Terror, one certitude unites the warriors and the conscientious objectors. It is that Islamism is not to be confused with Islam. “Whatever it’s called,” George W. Bush said, “this ideology is very different from the religion of Islam.” Attorney General Eric Holder described the Islamism of the late Anwar al-Awlaki as “a version of Islam that is not consistent with the teachings of it.” Zeyno Baran has come reluctantly to the conclusion that the Bush/Holder view is false. Her new book describes how Islamists have captured many Islamic religious and social institutions, including most of the Western ones. Islamism has supplanted more traditional tendencies and has become what most people, Muslim and non-Muslim alike, understand as mainstream Islam. Gullible American and European policymakers have partnered with the wrong Muslims, freezing out their friends and empowering those who wish them ill.
What do we mean by “Islamist”? Baran applies the word to those Muslims who want Islam reflected in political life, sometimes including the establishment of sharia law and the reconstruction of a world caliphate. There is a fundamentalist, theocratic current that has always run through Islam. It goes back to Hanbali fiqh (jurisprudence) in the ninth century and to Ibn Taymiyya’s thirteenth-century invocations of divine judgment to account for various Muslim misfortunes. Islamism is what happened when the master ideologists of twentieth-century Islam—al-Banna, Qutb and Maududi—yoked this ancient current to styles of rabble-rousing brought into vogue by Nazis and Communists. Egypt’s ban of the Muslim Brotherhood in the 1950s was fateful. In their Arabian exile the Brothers merged their political savvy with the oil money of the Saudis. The result was a creed with a mighty appeal to young rebels and idealists. “Islamism shares the most fundamental aim of Islam and all religions,” Baran writes, “to bring the world closer to God.” In so saying, she removes us from the cocoon of cant that swaddles most public—and all governmental—discussion of Islam’s role in terrorism. Islamists are, by definition, politicized Muslims. They are better at politics than their apolitical coreligionists. European officials made a mistake in the 1980s and ’90s, when they “granted asylum to many immigrants who presented far more of a threat to democratic rule than the regimes they had fled.” The core of Baran’s book is her description of the tactics by which Islamists co-opted, infiltrated, bamboozled, and overwhelmed Muslim institutions of long standing. Islamists generally preferred subverting existing bodies to setting up their own, Baran writes, because it “required less effort and offered greater recruitment possibilities.” Her account of such subversion will remind readers of the history of Communists in the trade-union movement. As Baran shows, boards of directors staffed with doddering old-country patriarchs do not stand a chance against young, modern, Internet- and media-savvy “professional Muslims.” She is quite specific about how this pattern of hostile takeovers has played out in community after community: at the Bridgeview Mosque on the South Side of Chicago; at the Islamic Center of New England in Quincy, Massachusetts; at the Muslim Unity Center in Bloomfield Hills, Michigan. You can see, from this history, why the Bush-Obama effort to render the United States more likeable in the Muslim world has thus far failed. It was from institutions already aligned with the Muslim Brotherhood that Bush, Tony Blair, and other Western leaders sought advice when they decided to “reach out” to Muslim communities after September 11. 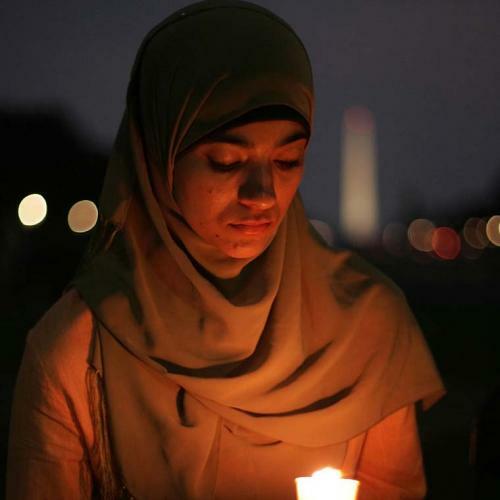 Good examples from the United States are the Muslim Student Association and the Islamic Society of North America, both founded in the 1960s, and the spin-doctors at the Council on American-Islamic Relations, founded in 1994, whom even the FBI trusted for a time before cutting ties. But the pattern is repeated elsewhere. The Saudi-funded Muslim World League pays the salaries of many Turkish imams in Germany. The Islamist Union of Islamic Organizations of France is often the dominant voice on the national Muslim body that Nicolas Sarkozy set up as interior minister a decade ago. These organizations have often played Western leaders for chumps. The Palestinian activist Sami Al-Arian met with top American officials, including Presidents Clinton and Bush, while he was under investigation for ties to Palestinian Islamic Jihad. The British government broke with the MCB after its leader signed a declaration against “Zionist Jewish occupiers” and their “sinful aggression” and urged that those aiding them be “rejected and fought by all means and ways.” But Britain wound up restoring relations after the MCB issued a vague renunciation of violence. Baran is a Muslim liberal and feminist who insists that there is a strong message of gender equality in the Koran. She worries that the dominance of these Muslim Brotherhood–inspired, frequently Saudi-funded groups is obscuring the diversity of Islamic culture and religious practice. But the problem is worse than she says. Radical, politicized groups are not merely drowning out more traditionally pious strains of Islam—they are wiping them out. This process is underway in Baran’s native Turkey. Baran is a defender of the model of moderate, state-managed Islam, set up by Kemal Atatürk and his successors. The former president of Turkey, Suleyman Demirel, wrote the book’s introduction. Alas, the gifted demagogue and Islamist Tayyip Erdogan has spent the better part of the last decade ripping this apolitical Islam out of Turkish society root-and-branch. It is more a museum piece than a living, breathing alternative to Islamism. Baran is right that certain Islamist organizations such as Hizb ut-Tahrir can serve as a “conveyor belt” to violence and terrorism. Although Western governments differ on whether Hizb ut-Tahrir is a radical organization, a small but significant percentage of its members leave the organization in search of something more intense and dangerous. The problem is that religion itself is a conveyor belt to radicalism in this way. Tolerating a religion—to say nothing of promoting it, as the Bush and Obama administrations have done—means granting practitioners the leeway to interpret their faith as they will. When push comes to shove, Baran is nervous about giving Islam that kind of leeway. She urges that American government authorities investigate private schools that “inculcate attitudes towards females, gays, and members of other religions that reflect premodern norms.” Bad idea. Such a program would mean a wholesale revocation of First Amendment religious freedoms, and not just from Muslims. In Baran’s view, Western governments have failed by taking as their model for Islam only what they heard from CAIR and ISNA. They should “shift their current focus from countering extremist violence to preventing extremism from taking hold in the first place.” The strategy she suggests might indeed be a better one. But there are two reasons it cannot be carried out. One is that Americans are too frightened of being disciplined and punished for breaches of political correctness to discuss honestly any aspect of any policy touching on Islam. Even this term—“political correctness”—does not do justice to the Zhdanovite lockdown that the government enforces when it comes to discussing Islam. Secondly, Americans don’t know Islam well enough. The distinction between “Islamists who renounce violence” (the people we are empowering now) and the “moderate Muslims who reject Islamism” (the people Baran would like us to empower)—these distinctions might be meaningful for a literary Turk with a good Koranic education. They will be lost on a galoot congressman from the mountain West who has never met a Muslim. And to draw such distinctions in the first place would reveal what a big, intransigent problem traditionalist Islam poses for Western societies. It is a problem that already has a long record of forcing those societies to weigh their commitment to diversity against their commitment to freedom.